Learn something new – and have fun doing it! 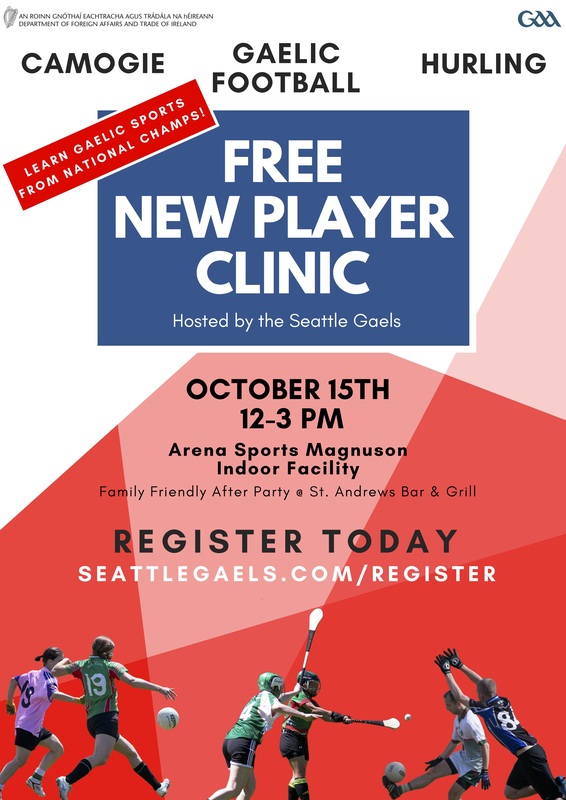 Join the North American Champion Seattle Gaels and learn the sports of Hurling, Gaelic Football and Camogie – some of the fastest and most exciting sports in the world. Our players and coaches will teach you the basics of these games, and provide the equipment you’ll need. Gaelic games combine the skills of many sports you already know – soccer, baseball, basketball, rugby, lacrosse, volleyball and more.